There is no denying the importance of colors when it comes to creating a stellar website. Colors can define your brand in a more effective way, convey the right emotions, give your brand a personality and encourage visitors to interact with your brand. With a myriad web design trends, creating an interesting color palette is something that has become an important strategy for crafting impressive designs. Colors are a powerful tool that plays a key role in attracting attention and influencing your customers’ feelings and perceptions. If done right, colors can establish the right mood in your website design. Therefore, it is important for every web designer to be acquainted with the psychology and symbology of colors. Choosing the right color palette for your website design needs diligent planning, as it can make or break the impression of your brand. If you are thinking of revamping your website or creating a website from scratch, here are some smart strategies that will help you come up with an impressive color palette for your web design project. Your website truly defines who you are, and what you have in store for your customers. Selecting the right color scheme will help you effectively represent your brand while creating a positive first impression. If your color scheme is consistent across your website, business cards, billboards and anywhere else, it helps visitors recognize your brand immediately. A study suggests that 90% of snap judgments made about your brand are based on the colors you use on your website design and marketing collateral. Different studies have revealed that humans prefer to buy from recognizable brands. Therefore, it is important to choose the right colors to create a unique brand identity that helps you stand out from your competitors. In short, colors are the most important branding elements that have a powerful ability to communicate your brand’s persona and help your customers identify your brand. 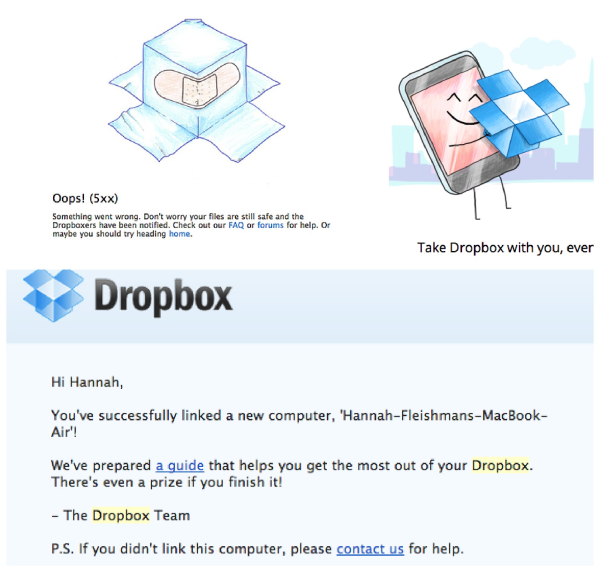 Let’s take an example of Dropbox, a cloud-based file sharing platform. 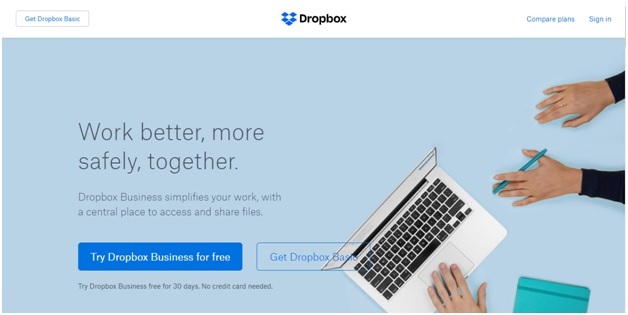 The brand leverage a blue palette to instill a feeling of trust, authority, and reliability. 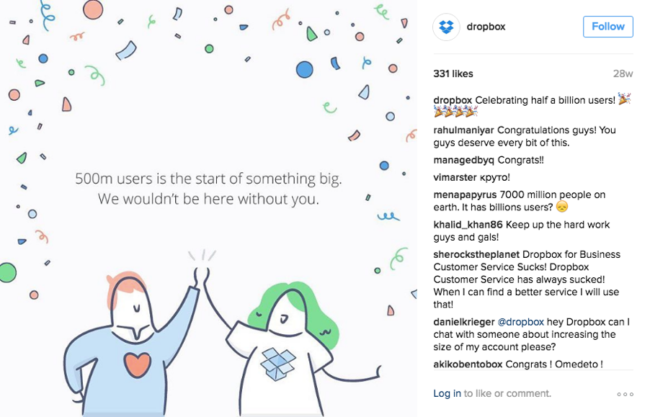 The consistent color scheme and hand-sketched style graphics across all communication platforms make their brand more recognizable while setting it apart from their competition. Colors serve as a fundamental component of your website that not only gives your business a unique personality but also defines the quality of products or services you are offering. Your website’s color palette can make or break your customers’ assessment of your brand. More than 85% of shoppers’ purchase decisions are influenced by colors. A poor choice of colors will have a significant impact on your website conversion rate. So, using the right color scheme is critically important to convince people to buy from your brand and earn more leads and conversions. Colors can be used to entice customers to make a purchase. This is why more and more brands are choosing their brand colors strategically, keeping color psychology and consumer color preferences in mind to improve the conversion rate of their websites. BigTop is an online community that connects startup networks. The website uses a visually-appealing blend of cool and warmer hues of purple, blue, bright orange and yellow. The orange and yellow colored CTA button will immediately capture your attention and compel you to click on it. 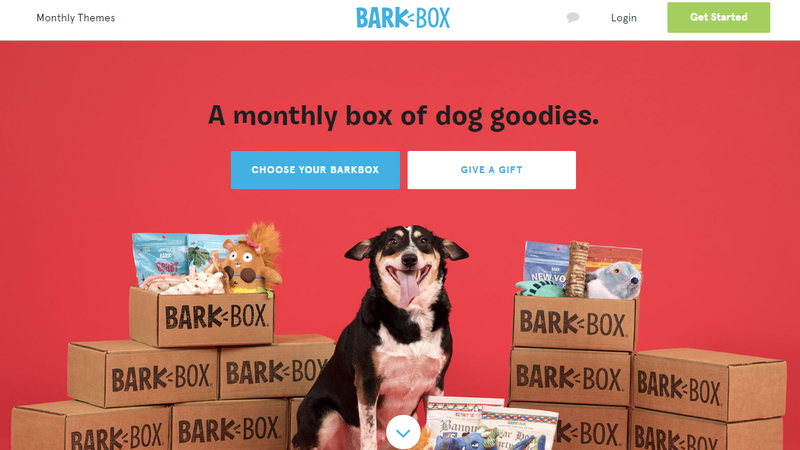 BarkBox homepage uses the dominant pink color that perfectly contrasts with the blue color CTA button. They smartly use complementary colors to grab the attention of users, get them excited and persuade them to take the desired action quickly. Colors have an outstanding power to trigger a reaction. If you want your business to be memorable, make sure to use the right color palette. By using specific colors, you can trigger the desired emotions in buyers and leave a mark on their minds. Furthermore, brands can tap into the power of colors for strengthening their marketing efforts. Different colors evoke different feelings. Red is associated with passion and power, yellow exudes creativity, happiness, and optimism, while white can create a sense of peace and trust. Brands can experiment with different colors to a nurture an emotional connection with their customers and incite action when needed. When it comes to choosing the color scheme for your website, carefully think about the feelings you want your products or services to incite. Every business wants to create a strong emotional connection with their audience. By using the right colors, you can win your customers’ hearts. As color psychology has a profound impact on your customers’ emotions, perceptions and behaviors. 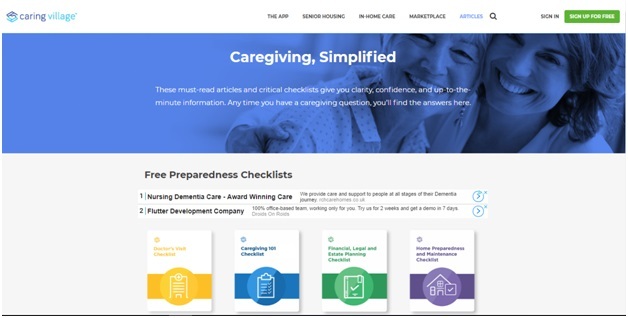 Take a look at Caring Village’s website. Their website color palette incorporates green, purple and blue hues which depict the mission of their company. Green color denotes health and care; blue evokes a friendly feel while purple is a luxurious color that creates a sense of royalty and elegance. All in all, colors can make a difference. Adding the right colors to your website is a sensible way to spark visual interest among your audience and help your branding elements and content stand out. Prudent use of colors can help you come up with a stellar website and differentiate your brand from your competitors.